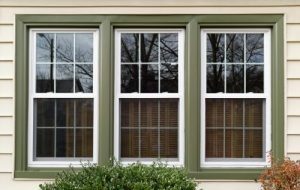 When shopping for replacement windows, a time will come where you will need to choose a framing material. This decision can feel overwhelming, especially if you are unsure what your options are. Fiberglass frames are one of the four main types of frames we offer at True View. With over a decade of experience in the window industry, we know the ins and outs of this versatile framing material. Here are the most common questions we get about fiberglass window frames, along with comprehensive answers to help you make the best decision for your home. What are the benefits of fiberglass frames? With fiberglass frames, you won’t need to worry about frequent repairs or replacements. This is thanks to the intricate process that all fiberglass frames go through before they are fit to windows. A fiberglass frame is fabricated by a process called pultrusion. This begins with glass rovings and mats being coated with resin and heated dyes, in order harden the glass. These materials are then combined and catalyzed in order to make the frame exceptionally strong and durable. The strength and durability of fiberglass frames means that can stand up to years of wear and tear. Wind, rain, sunshine, pollution, and other environmental factors will not compromise the structural integrity of the frames. Even scratches and damage from impact will rarely make a dent in a strong fiberglass frame. Do you find that your home is drafty, or that certain rooms in your home never quite reach the right temperature? Your windows may be to blame. In fact, it’s estimated that as much as one-third of heat loss in a home occurs because of its windows. Drafts and other leaks can also contribute to a situation where your windows can’t keep hot air outside during the summer, or cold air outside during the winter. To solve these frustrating problems, look no further than fiberglass frames. Fiberglass frames don’t expand or contract in extreme temperatures, making them ideal for both sweltering summers and chilly winters. Fiberglass frames also provide exceptional protection from UV rays and the heat that results from strong sunlight. Additionally, fiberglass frames don’t conduct heat, and instead act as a natural insulator. This helps fiberglass frames control and maintain the temperature in your home by preventing outside air from coming inside. Fiberglass frames are three times more energy-efficient than vinyl frames. Fiberglass frames are designed to prevent energy-leakage. This helps lower your home’s energy usage, because your HVAC system will not have to work as hard to cool or heat your home, leading to savings on your monthly utility bills. Fiberglass is also recyclable, meaning that the frames can be considered a green solution for environmentally conscious homeowners. In the past, fiberglass frames were only availible in white, limiting their design potential. However, fiberglass frames can now be found in a wide range of colors, both on the interior and exterior sides of the frame. As a bonus, if you decide you want a different color frame later on, there’s no need to replace the window and start over. Fiberglass frames can easily be painted in any color you wish. Fiberglass frames can also be designed to resemble the rustic elegance of a wood window. For homeowners who love the look of wood window frames, but don’t want to deal with the potential drawbacks, fiberglass frames are a great compromise. While fiberglass frames can have a higher initial cost than other frames, they pay for themselves in the long run by increasing the value of your home. Fiberglass frames are desirable to many potential home buyers, especially those who are not interested in the maintenance requirements of other window frames. When the time comes to sell your home, you will be at an advantage compared to other homes on the market. How much maintenance do fiberglass frames require? Fiberglass frames require little to no maintenance. They are inherently resistance to fading, peeling, and flaking. Because the color of the frame is infused into the fiberglass itself, any scratches and chips that do occur are virtually unnoticeable. This eliminates the need for any annual sanding, paint touch ups, and sealing. Seal failures and other problems are also rare in fiberglass frames, removing any need for preventative maintenance. What brands make fiberglass frames? Nowadays, many well-known and highly-regarded window brands such as Pella and Milgard produce fiberglass window frames. At True View, we’re proud to carry fiberglass window frames manufactured by these reputable brands. Pella’s fiberglass windows are made from their exclusive Duracast material—a five-layer, expertly engineered fiberglass composite. Pella provides their windows prefinished in a number of color choices, including optional dual-colored frames. Milgard tests each of their fiberglass frames for color uniformity, chemical resistance, and structural soundness to ensure quality and long-lasting performance. Their windows are exceptionally eye-catching and stylish, and are backed with a full lifetime warranty. How do fiberglass frames compare to other frames? Each type of window frame has its own unique pros and cons. Before deciding if fiberglass frames are the right choice from your home, it’s useful to compare them to the three other main types of frames: wood, vinyl, and aluminum. Fiberglass frames are the most durable framing material available. A close second is vinyl, although vinyl windows have a 38% shorter lifespan than fiberglass windows. On the lower end of the durability scale are wood frames, which can rot and have issues with termites and carpenter ants if not properly cared for. Most modern replacement windows are energy-efficient. However, some framing materials, such as aluminum, are known to either conduct heat or warp over time, which can lead to drafts and energy loss. Fiberglass frames are exceptional at controlling heat transfer and acting as a natural insulator. Fiberglass frames are generally more expensive than other framing choices like vinyl, wood, and aluminum. However, the higher cost can be justified by the lack of maintenance and higher home value that result from having fiberglass frames. For answers to everything you’ve ever wanted to know about windows, contact the experts at True View.